For many, the best part of starting their day is indulging in a delicious cup of hot coffee, and Copper Cow Coffee is the Vietnamese coffee that has you covered! Through its single-use pour overs, coffee enthusiasts can enjoy a fresh brewed organic cup of coffee. With a focus on sustainability, all of the Copper Cow Coffee individual pour-over coffees are all-natural, biodegradable, and compostable. Already being sold in specialty stores like Central Market and William Sonoma, the company has plans to launch an online subscription model in January. La TechWatch sat down Debbie Wei Mullin (a World Bank alumn)to learn more about how her lifelong love for Vietnamese coffee inspired her to launch Copper Cow, the company’s future plans, and recent round of funding. Mullin’s company has now raised $3M across two rounds, since its founding in 2017. Seed round led by Silverton Partners, including participation from CRCM Ventures, AmplifyHer, Social Starts, Ride Ventures and 500 startups. Tell us about the product Copper Cow Coffee offers. 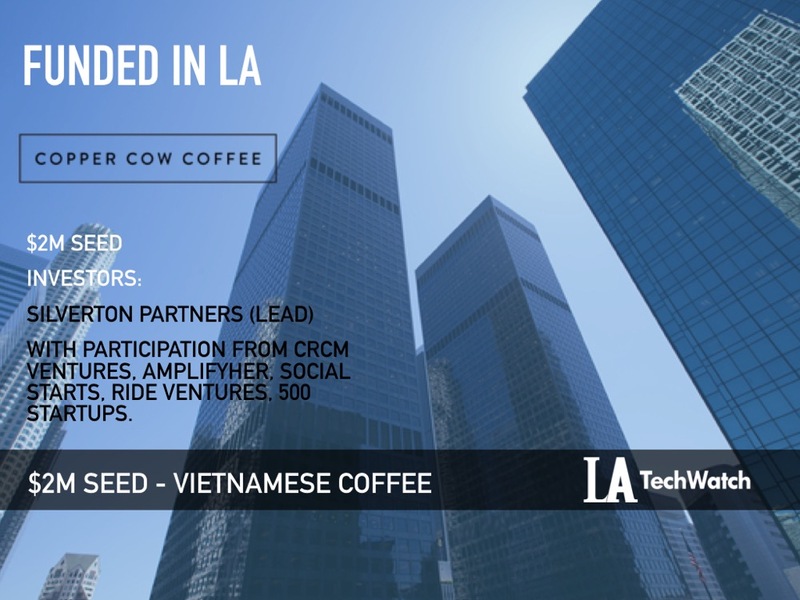 Copper Cow Coffee is reimagining Vietnamese coffee for your home, office, and adventure. Without any additional equipment, our single-use pour overs can make a fresh brewed organic cup of coffee, and it goes great with our individual sweetened condensed California milk creamers. They are perfect for pour over lovers (find us in specialty coffee shops like Central Market, Williams Sonoma, and Cost Plus), Vietnamese coffee lovers (find us in the Asian section of Walmart) or office managers who need a step up from K-cups. What inspired you to start Copper Cow Coffee? I set out to elevate one of my family’s favorite past times: Vietnamese coffee. Even though I was born and raised in California, I grew up eating Vietnamese food almost exclusively at home. In 2016, I traveled to my mother’s hometown Saigon, Vietnam in search of all natural, socially sustainable, specialty Vietnamese coffee. How is Copper Cow Coffee different? 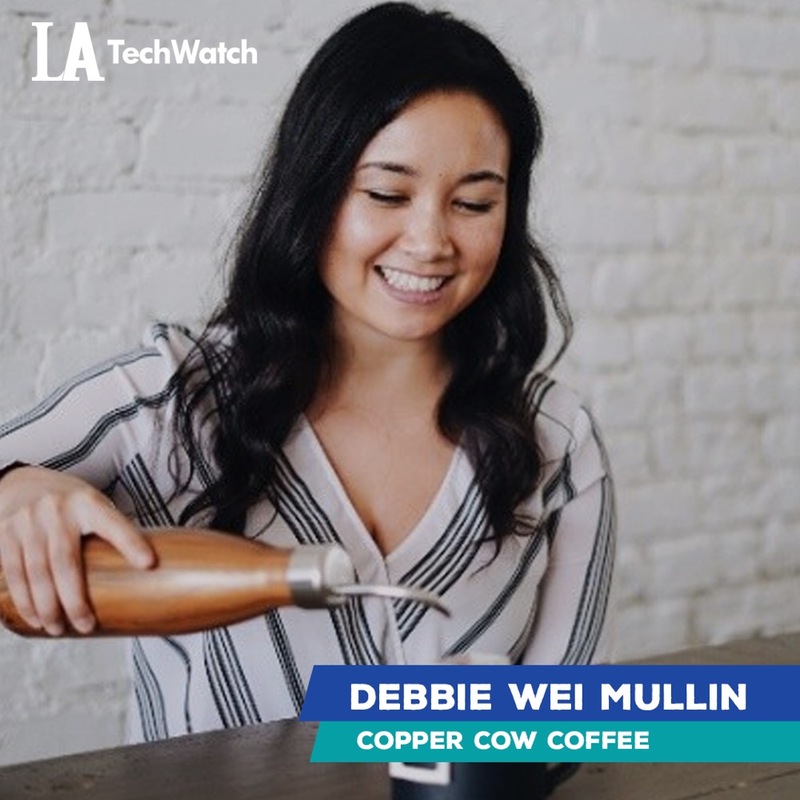 Copper Cow Coffee is a women-owned business offering sustainably sourced on-the-go Vietnamese coffee. Our individual pour over coffees are all-natural, biodegradable, and compostable. We deliver a quality pour over coffee experience but with convenience and portability of instant coffee. What market is Copper Cow Coffee targeting and how big is it? Our target demographic are Millennial (under 35 years) craft coffee drinkers, particularly Asian Americans and “Asian Enthusiasts” or people who have an interest in Asian food and beverage products. This can be seen in our online orders, as well as our coffee being placed in the Asian section of Walmart. Asian Americans are one of the largest buying powers in the US ($1T in buying power per year!) and one of the biggest lovers of specialty coffee (45% of Asian Americans drink specialty coffee, compared with a 30% national average – though both are on the rise). The size is huge, as can be seen by just our early sales in Walmart, America’s largest retailer. How do you balance sustainability with the demands of a fast-growing startup? My background before starting Copper Cow Coffee was working on sustainability for the World Bank, so I’ve always been focused on sustainability in our business model as we scale. One great advantage is our timing – Vietnam’s coffee scene domestically is booming. Vietnam has always been the second largest coffee producer in the world, but now that their own economy is growing, so is their attention and willingness to sustainability measures most important to Copper Cow Coffee. While we have sold primarily in retail since launching last year, we are launching a subscription model for our customers in January, allowing us to heavily discount the price per cup for our most loyal fans. We also have office subscriptions which also qualify for deep discounts. It’s a tough road! It takes hundreds of meetings to find the right partners. I’m so lucky to have found the supportive partners I have that believe in my mission in terms of how we supply our products as well as how we plan to grow. Dealing with all of the rejection. 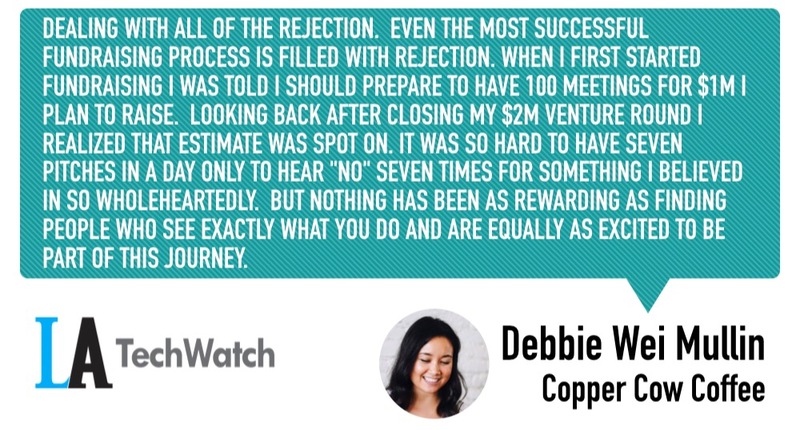 Even the most successful fundraising process is filled with rejection. When I first started fundraising I was told I should prepare to have 100 meetings for $1M I plan to raise. Looking back after closing my $2M venture round I realized that estimate was spot on. It was so hard to have seven pitches in a day only to hear “no” seven times for something I believed in so wholeheartedly. But nothing has been as rewarding as finding people who see exactly what you do and are equally as excited to be part of this journey. They were really impressed with the early execution of the business. Copper Cow fits into their view that consumer tastes in retail brands are rapidly shifting. Millennials aren’t interested in their parent’s brands anymore. They want authentic experiences and brands built on core values. They believe Copper Cow reflects the new consumer market trends. The goal is to hire an amazing marketing team and expand the brand with a focus on e-commerce and office subscriptions. What advice can you offer companies in Los Angeles that do not have a fresh injection of capital in the bank? Sales sales sales. To-date, Copper Cow Coffee was able to grow as large as we are without spending any money on marketing. We cared greatly about the packaging and product, and then just worked to sell as much as possible, knowing that the more people saw it the more likely they’d buy it. If your product is right for the market, you should focus on letting people pay you to get the word out. Online subscriptions are the most exciting part of our next steps. I know a lot of our fans would love to drink Copper Cow Coffee every day in their offices and homes, and we are so excited to give them a price point that will rival their k-cup machines. What is your favorite restaurant in LA? Great question! An old favorite that I can’t get enough of is BCD Tofu in Koreatown, but a recent favorite is Alta Adams that just opened up in my neighborhood. It’s an elevated/California take southern soul food. Their collard greens and fried chicken redefine the category.